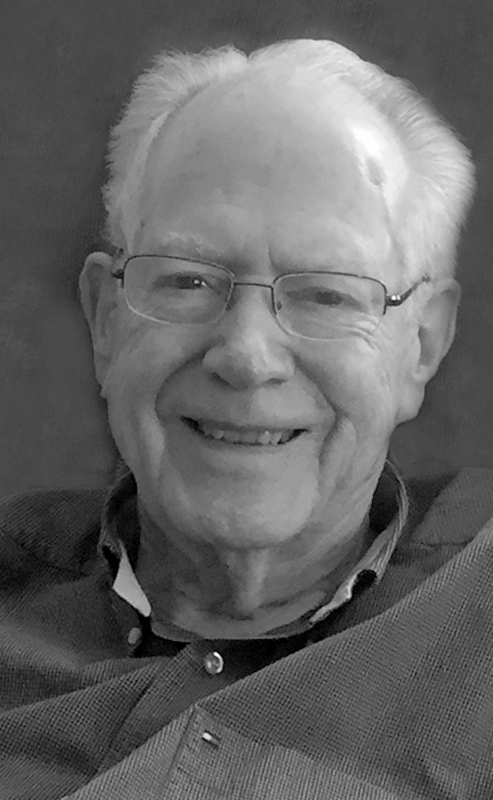 It is with great sadness that the family of Don Hale announce his passing on October 8, 2018 at the age of 86. He passed away peacefully in Saskatoon with his family by his side. Don was born in Saskatoon, and after graduating from high school, he worked in the flour and feed industry for over 44 years with Robin Hood and Parrish & Heimbecker (Ellison Milling Company). His work took him, Lena and the girls across Canada from Saskatoon to Montreal, St. John’s, Stratford, and finally to Lethbridge. Don and Lena enjoyed 43 years in Lethbridge where Don was an active member of the Rotary Club of East Lethbridge, Henderson Lake Golf Club, Lutheran Church of the Good Shepherd and the Probus Club. Don was an avid golfer, playing the game well into his eighties and he served his community in many capacities. Don is lovingly remembered and will be missed by his wife of 63 years Lena, daughters Brenda (Gordon) Jensen, Mona (Chris Barclay) Hale; grandsons Jonathan (Anna) Jensen and Graham (Jannaya Friggstad) Jensen and great granddaughter Solveig Lilja Jensen and many dear friends and family members. Don was predeceased by his two brothers and two sisters, and parents Bill and Maisie Hale. A Celebration of Don’s life will be held at 2:00pm, on Saturday, October 13, 2018 at LUTHERAN CHURCH OF THE GOOD SHEPHERD 2406 – 11 Avenue South, Lethbridge, Alberta, with Pastor Ali Tote officiating. For those who wish, memorial donations in Donald’s name may be directed to the Canadian Cancer Society 317 10 Street South, Lethbridge, Alberta T1J 2M7 or the Alzheimer Society of Canada 40-1202 2 Avenue South, Lethbridge, Alberta T1J 0E3.